Assembly Specialty recently completed our three year ISO 9001:2008 recertification audit. As with each required annual audit, it forced us to pay extra attention to the processes and procedures that we have implemented. The result was a successful recertification audit that reminded us of the value and importance of having operating procedures and tracking our performance toward desired objectives. It’s all too easy to fall into the daily rut and miss the opportunity to learn from our experiences in order to improve, which is one of the benefits of following the ISO process. We would all like to think that everything we do is important and has value. While an activity may have value, not all activities have the same value. What is the lost opportunity and long-term cost to an organization of spending top management’s time on low value, short-term activities rather than investing those limited resources of time, energy and creativity into high payoff, long-term activities that will ensure success? If you aren’t paying attention you don’t have a clue as to the actual cost. Why is it so common for managers to fall into this costly and frustrating rut? While this brief blog post cannot go into great detail, we can identify a few important factors to consider that will help us to understand, and hopefully embrace the necessary changes required in order to capture efficiencies in talent resource utilization. This is true for anything more complex than a simple task. In order to solve the problem managers must stop and THINK. We can all rational-lie-ze anything we want. What we need to do is stop rationalizing and be rational. It requires that we actually sit down and analyze the problem until it no longer makes sense for the manager to postpone the necessary steps toward developing a suitable long-term strategy. Temporarily managers may have to continue to handle the day-to-day low value task, but simultaneously they must implement the appropriate measures that will free them to do higher value work. This probably stems from some survival instinct that has morphed into obtaining positive feedback in order to enhance our self-esteem. Like anything that feels good, humans want more of it. Unfortunately, this can become a pattern – and dare I say, an addiction. Like extreme sports, we can get addicted to the adrenalin rush. I personally know very successful people who are chronic procrastinators, but consistently come through in the eleventh hour and do amazing work; scaring the hell out of others who depend on them, but having a reputation for accomplishment, they get away with it. If you are a freelance writer you can pull this off, as a manufacturer it is too costly and cannot be tolerated. How many companies have you seen that seem to operate on crisis management most of the time? How to act rationally while living the rational lie? Before we can begin to make an intelligent change we first have to be clear about our current reality, (the baseline for measuring effective change). I recommend using a time log broken into 30-minute increments. For at least one week, accurately record with considerable detail your daily tasks. When completed review each activity and record what you would pay to have someone else complete that task for you. For example, you found that you spent three hours unloading shipments this week because your staff is busy making product. Next to that task in the log write $15/hour, or whatever you pay your lift truck operators. Then subtract that from your hourly equivalent. If you do this for a week and find that you are spending a large percentage of your time conducting work that is well below your salary you know this is a foolish use of your time. First we have to be aware and recognize that this waste is occurring and quantify the actual cost. Next, you have to add up the hours that are being spent on low value activities and ask what opportunity is lost as a result of your being unavailable to perform higher value activities that only a person with your unique skills can perform. Upon completing the daily log many CEOs are aghast at how much time is being spent on low skill or low value tasks by themselves and their highly compensated team members. Currently they are spending their valuable resources putting our fires, rather than investing them in planning and strategizing solutions. It’s not easy, and there is a price to pay. It’s called delayed gratification. It requires that both a task and the reward of gratification be postponed. However, the reward of delayed gratification is far greater both emotionally and financially, but… you have to get over the hump of inertia; doing things the same old way. Some people can’t do it. It requires a vision of a future point in time that is more compelling than the one you’ve got now. If you can’t see it and believe in it, you will never implement the necessary changes in your activity. In the late 60s and early 70s a landmark experiment was conducted by psychologist Walter Mischel at Stanford University. 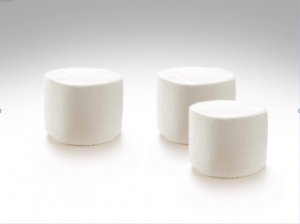 In the study children ages four to six years old were offered a choice between eating a marshmallow right now, or waiting 15 minutes before eating it, and receiving two marshmallows. Then the tester left them alone to see what they did. Approximately one in three waited for the second marshmallow. Numerous follow ups with the original participants were conducted as late as 2011 and revealed that the children who were able to delay gratification and wait for the two marshmallows greatly tended to have better life outcomes; measured in higher SAT scores and educational attainment, lower body mass index and other important life measures, including better jobs and more successful family lives. A critical key to a better future is self-discipline and delayed gratification. I hope this blog post inspires you and your team to take a critical look and what, how and who is conducting the necessary activities in your organization. We would enjoy hearing about your experiences and suggestions to help ensure that we all resist majoring in minor activities.